A love affair based on a case of mistaken identity, set in an impeccable re-creation of nineteenth-century London. Lord Byron was the greatest writer and most notorious, scandalous lover of his age—an irresistible attraction for a sheltered, bookish, and passionate young woman like Eliza Esmond. Eliza believes she's met Byron on the doorstep of his publisher, and that her dreams have come true when he arranges to meet her in secret. But what if the man she believes to be Byron is someone else—a look-alike named John Polidori, who once toured Europe as Byron's doctor? And if Polidori is the true author of a wildly successful book everyone believes to have been written by Byron, who is the real imposter? 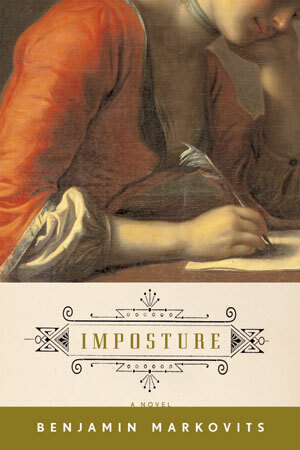 Stylish, subtle, and seductive, Imposture is about ambition, fantasy, the power of artistic greatness, and the consequences of celebrity—by a gifted novelist of true talent. Reading group guide available.